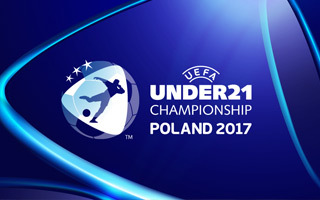 Friday saw the very last, 21st game of the 2017 UEFA European Under-21 Championship. It was the single largest football event hosted individually by Poland, even if smaller in scale than Euro 2012 co-hosted with Ukraine. Six Polish cities played host to the first tournament of its kind after UEFA had decided to include 12 teams instead of 8, as it used to be before. The total attendance reached 244,055 people, which constitutes a new record for the U21 event. Of course it's owed primarily to the fact that 21 games were pleayed instead of 15. For the first time in history more than 200,000 people attended the games, though when counted per game the attendance isn't record-breaking. By UEFA and Polish FA (PZPN)'s decision only venues of around 15,000 seats were chosen as hosts, with one exception being Bydgoszcz's Stadion Zdzisława Krzyszkowiaka (just over 20,000). Altogether the average game drew 11,622 people, which is the second highest attendance in history, following Israel's 2013 tournament (12,029). On average the occupancy rate stands at 74%. By far the most popular games were played at Arena Lublin, where Poland staged two of its three home fixtures, before being knocked out. In Lublin occupancy reached 90%. Meanwhile in Bydgoszcz only 46% of the tickets were used, though that city had both the largest stadium and arguably least attractive fixtures.